Kirkstall Bridge is a new retail destination to the west of Leeds, occupying a peninsula formed by the River Aire and the Mill Race. 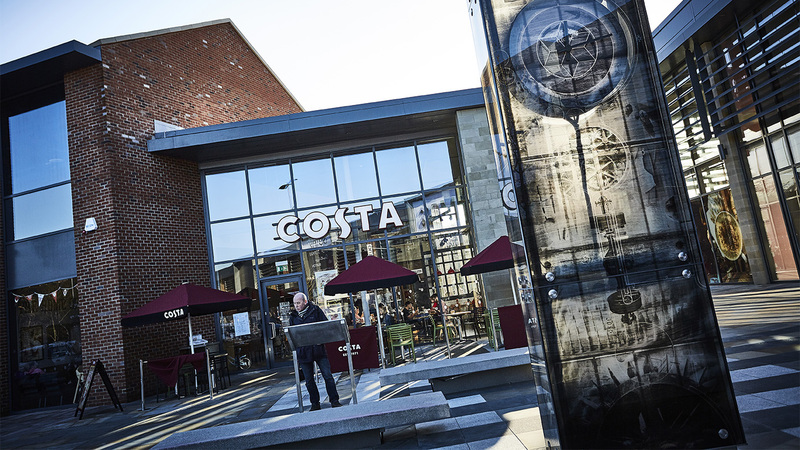 The site lies within an area of important industrial heritage with Kirkstall Forge, Abbey Mills and the remains of Kirkstall Abbey all close to the site. 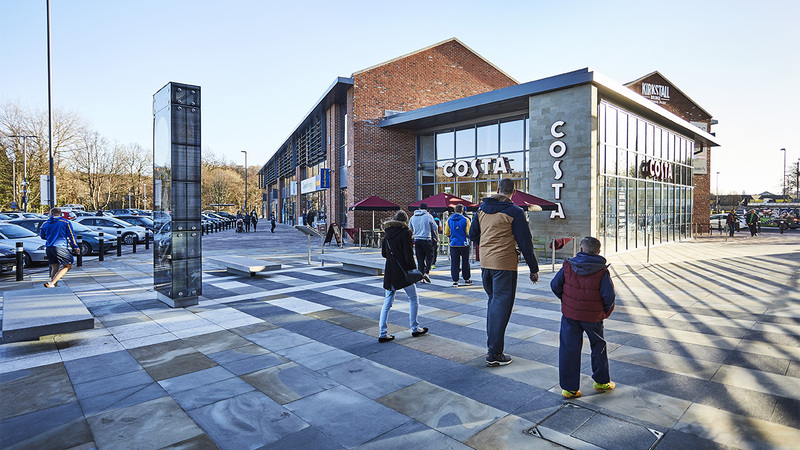 The vision for the project was to sensitively integrate the scheme into the surroundings and to create an inviting series of streets and squares through the retail development. Hard landscape detailing draws on the site’s rich cultural heritage of mill based industries dating back to medieval times. By abstracting forms from the processes and patterns of local wool weaving, the public realm aims to encourage a unique sense of place within the scheme. Since the 1930s, the clock tower of the former Thrift Stores Ltd has dominated the site, with the clock face and mechanism made by the famous local clockmakers Potts of Leeds. 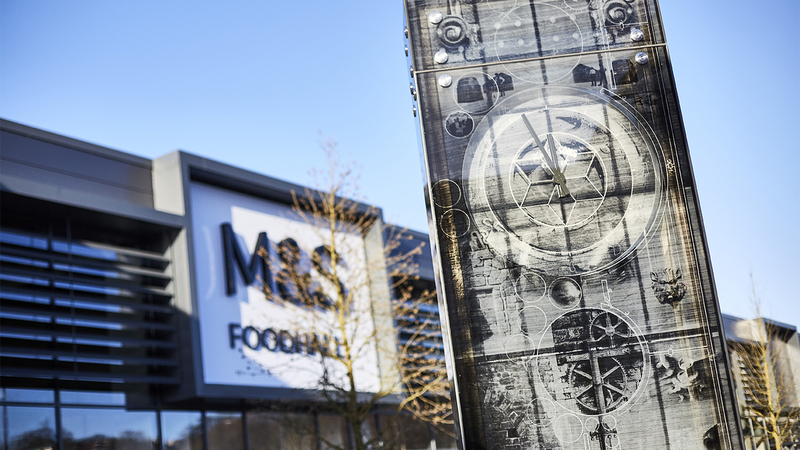 We have worked closely with artist Kirsty Brooks to commission a new clock tower at the heart of the development to serve as a constant reminder of Kirkstall’s rich history. 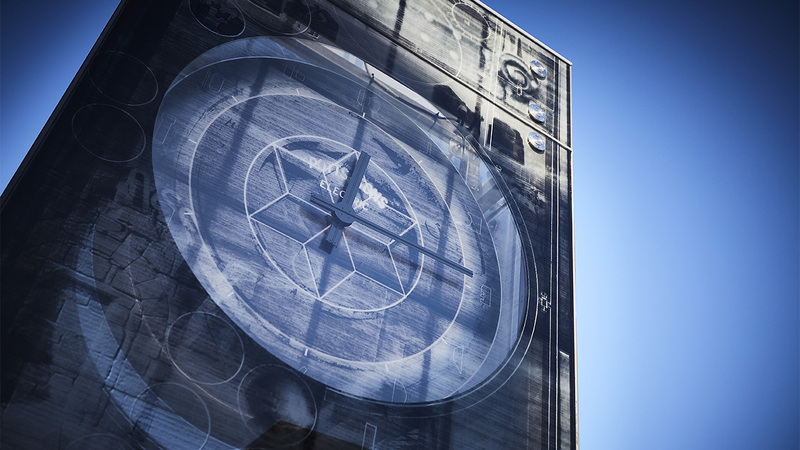 Like the original, the new clock mechanisms have been by created Potts of Leeds and the clock is wrapped in screen printed glass panels with light changes each hour, allowing people to see images of the industrial heritage of the area.